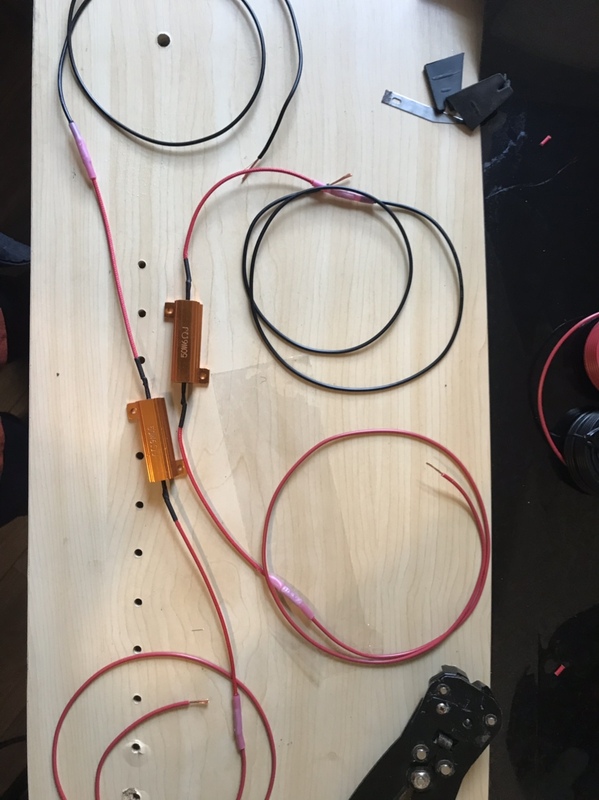 Thread: Load Resistor/Ballast Mounting Recommendations? 2017 Cruze Hatchback RS here. Wondering where anyone has mounted Load Resistors or Ballasts for LED upgrades? Especially the rear lights. 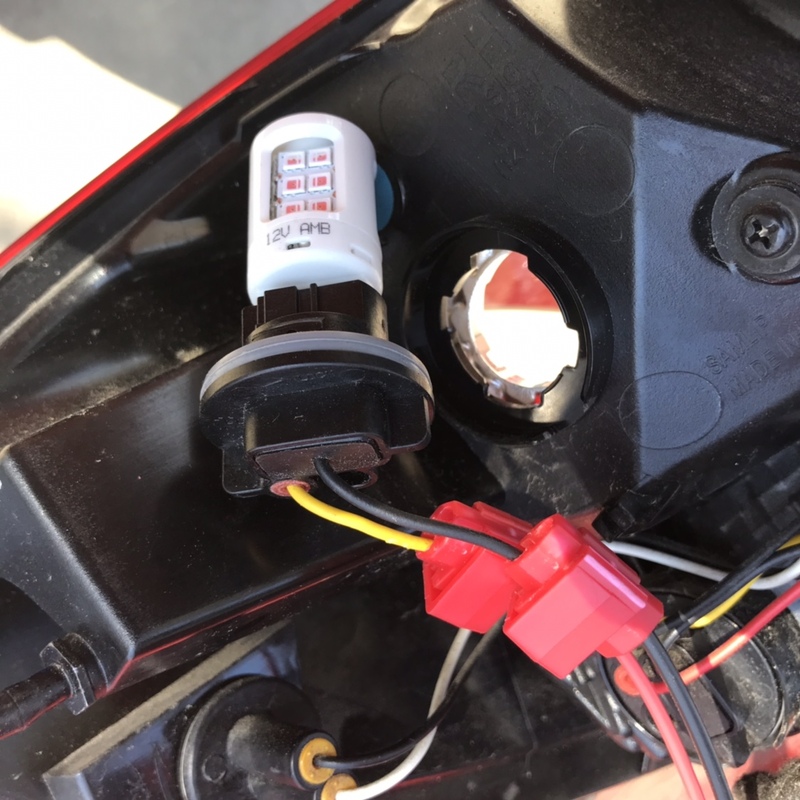 I trying to plan the best way to do an LED Turn signal upgrade. *Why am I doing this? I didn't want to but I my hand has been forced. I purchased "no-hyper flash" bulbs last summer. . . . the barely lasted a couple months. After about 30 seconds, I would get hyper flashing. I'll post a link to what I got later. *I know the resistors come with quick taps but I plan on soldering the joints. This is strictly personal preference. I haven't run into any post of people having problems with the quick taps. *Good news, there are only two wires so I don't have to deal with figuring out which wire to tap. I'm not concerned that it can't be done now, it's just a matter of how I want to do it. *I am struggling most with where to best place the resistor in the front. The rear is less of an issue and I will get to that below. *One thought is to mount it under the angled beam that is just beside it. Sure, I could mount it on top or side but I don't want it to mess with the heat liner under the hood. Please tell me if I am overthinking this. The other reason I wanted it under, was for a cleaner look. *My current approach is to drill a hole through the body and install a rubber grommet to seal out moisture. With the resistor mounted inside, I would feed it's wires through the hole and tap in from there. I just want to have room to pull the light assembly in and out without yanking everything apart accidentally. I’ll be doing this tonight around 5-6pm eastern time when I am off work, so I’ll be sure to take some pics of where I am going to mount mine. I have yet to look, but I’m doing mine today as my load resistors came in earlier. yt400pmd and NoDiggity247 like this. I am going to be doing this on Weds (only because the weather will be warmer). This weekend I decided to take a look inside to come up with my plan. I updated my original post to share my thinking. I will take pics when I do! If I get a chance today, I may take some pics to diagram my plan. Yea, from the way you describe it; we both have the same idea about the rear, and I’m sure there is somewhere close up front that I can mount them. I’m already expecting to lengthen the leads and mounting the resistors remote enough to be able to, like you say, pull the lights out completely without pulling wires. Will update as soon as I am off and get it done, boss. I got rained out last night, so I’m going to jump right into this today. I’m off work since it rained so much: even better lol. I ordered Aaron’s off of Amazon. 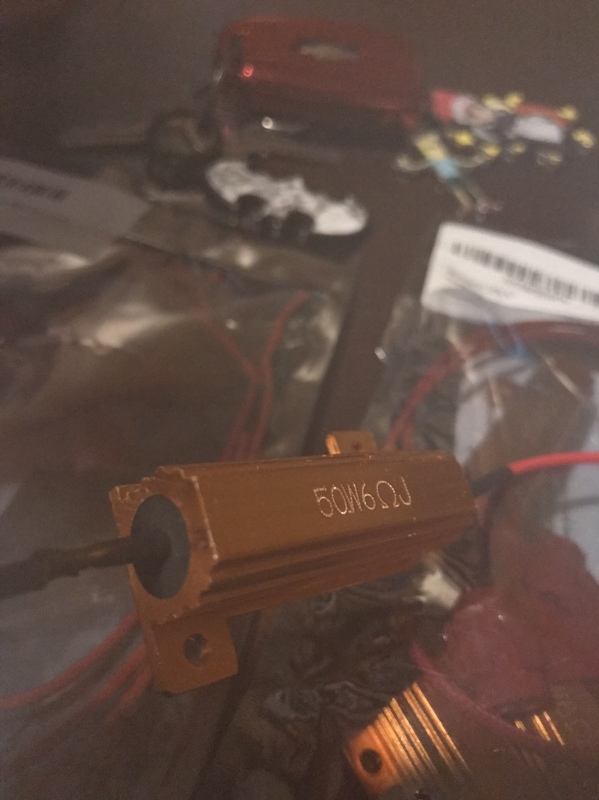 50w 6ohms. I got these because the leads are crimped and soldered beneath that heat shrink, instead of just soldered(poorly most of the time). I’ve used them on my 13 Silverado for about 3 years now with zero issues. Last edited by Ncfutrell; 03-26-2019 at 07:46 AM. 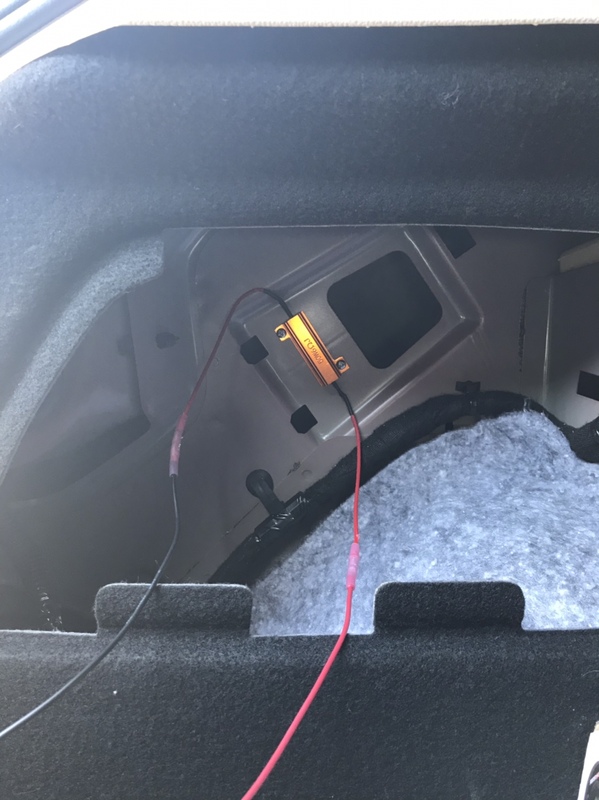 I mounted mine within the kick panel area in the hatch for the rear turn signals. 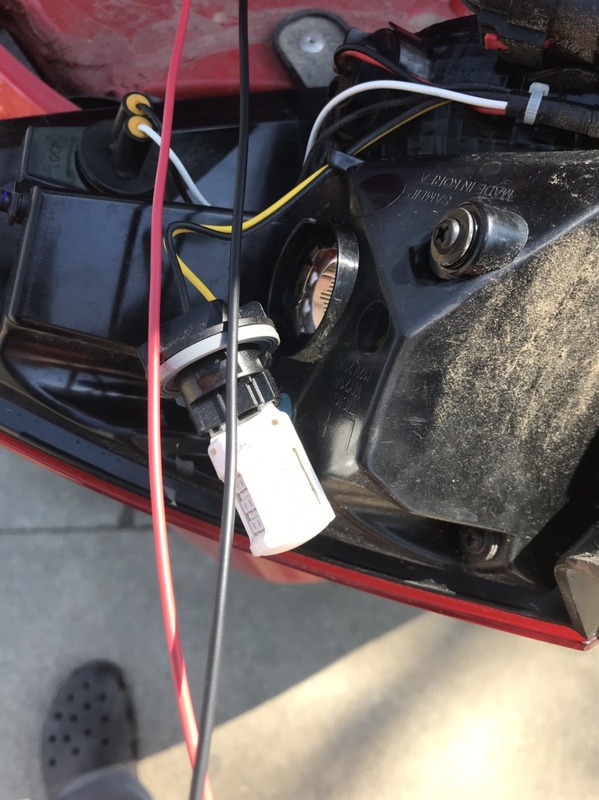 Poked a small hole through the rubber grommet the taillight wiring harness was through, and connected the wires as needed. First, I extended my wires. Marked the holes on the mounting tabs, drilled them, and mounted the resistors. 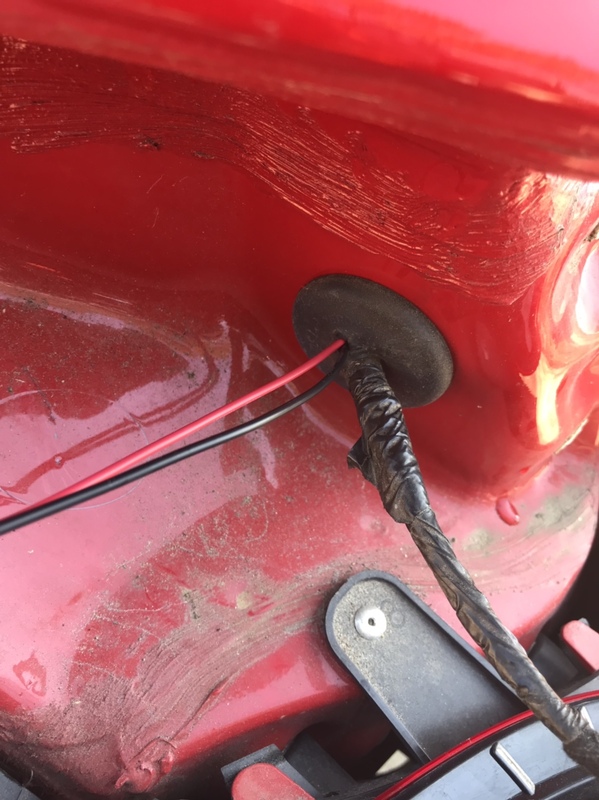 I ran my extended wires through the rubber grommet. 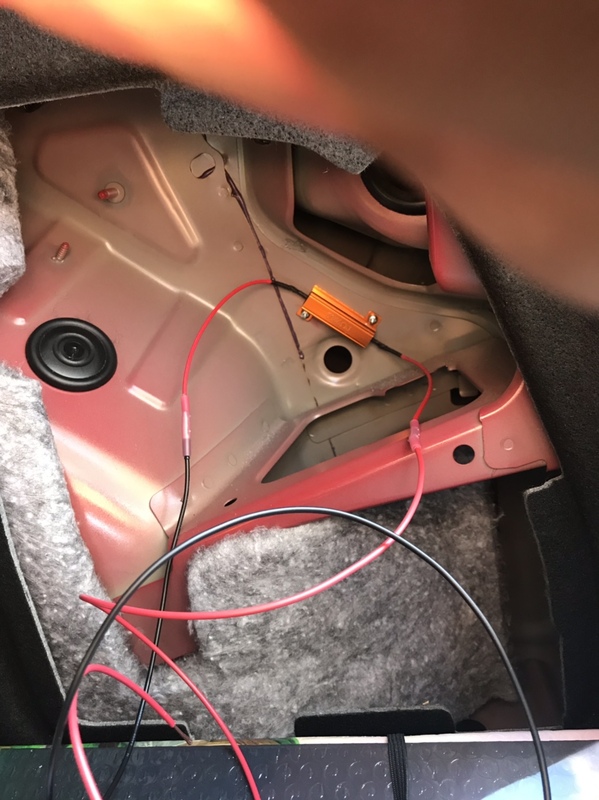 I cut the extra wire, and spliced then into the turn signal wires. And then I reinstalled everything. Also quick question. Do the taillights your Cruze Hatchback have a bulb for the brake light and one for the turn signal. I have the sedan and there is only one bulb for both light function. I'm trying to find a way to separate the light function so that they work with the aftermarket taillights that i got. On my 17 hatchback, there are separate lights for the brake and turn signal. Toyota Engineering? 88 Supra Blower resistor.